Enjoy a four-hour guided tour of San Francisco. At each stop, you’ll have the chance to get off the bus and see the Super Sights. Along the way, your fully narrated tour will show you San Francisco like you’ve never seen it before! Tour the city from the bay to the ocean, with photo stops at key locations. Enjoy great views and visit famous attractions, including the Golden Gate Bridge. Stopping at Twin Peaks will give you a breathtaking 360-degree view of the city from 1000 feet above sea level. Opt to upgrade your tour to include a bay cruise or a visit to the Aquarium of the Bay to complete your panorama of San Francisco from land and sea! Traveling through the Golden Gate Park, we’ll point out seasonal flower displays, look for bison grazing, and ride past windmills overlooking the Pacific. Learn about San Francisco’s early settlements, from Native Americans to Spanish missionaries and the frenzied days of the gold rush as you drive through the once infamous Barbary Coast. Then, see San Francisco’s iconic Victorian Homes as we take you through the Haight-Ashbury neighborhood. Next, you'll see San Francisco from the air! Awe-inspiring views of the most beautiful city in the world are made possible by helicopter. We've combined these helicopter tours with our other great San Francisco Bay Area tours, so you can see Northern California from above and on the ground. Board a Bell Jet helicopter for your exciting adventure above San Francisco. Musical background, choreographed to your flight, accompanies spontaneous narration by your professionally trained pilot. 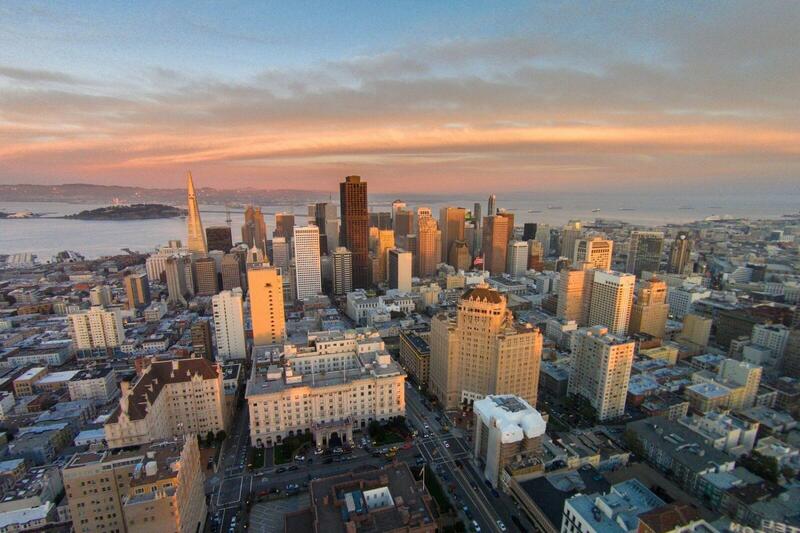 Take in the renowned hills of San Francisco and the striking cityscape like few ever can. In the distance, you’ll see the surrounding Bay Area communities stretching as far as the eye can see and famous landmarks, including Alcatraz Island & the spectacular bridges spanning the Bay from a whole new perspective. We're sorry to hear about the booking confusion, and we will definitely make sure our guides are all informed on what's appropriate to say to a group made up of many types of people. Thanks so much for your feedback, it truly helps us improve our company! Would have loved it to be longer.